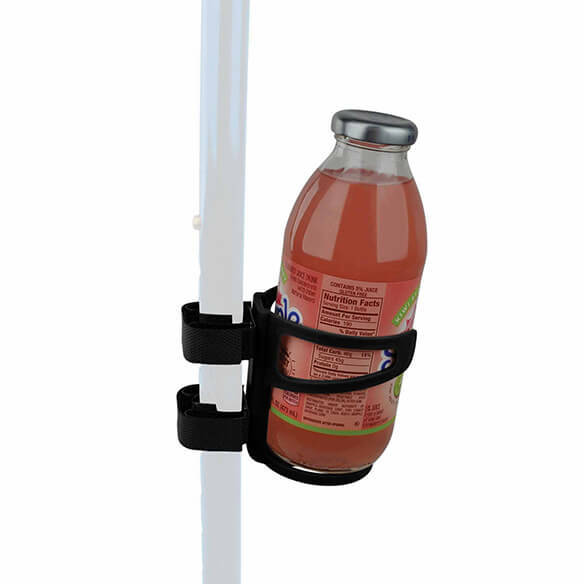 Enjoy a beverage anywhere you go with this Hold My Drinkª Universal Beverage Holder. 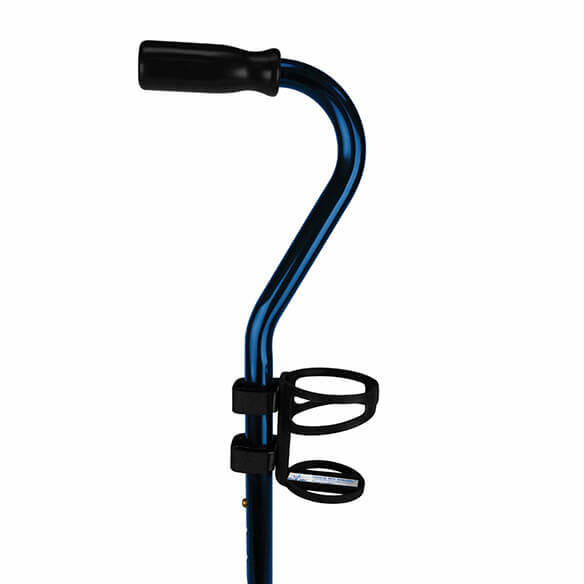 Clamps onto most sizes of round tubing, including walkers, wheelchairs, rollators, canes and more. 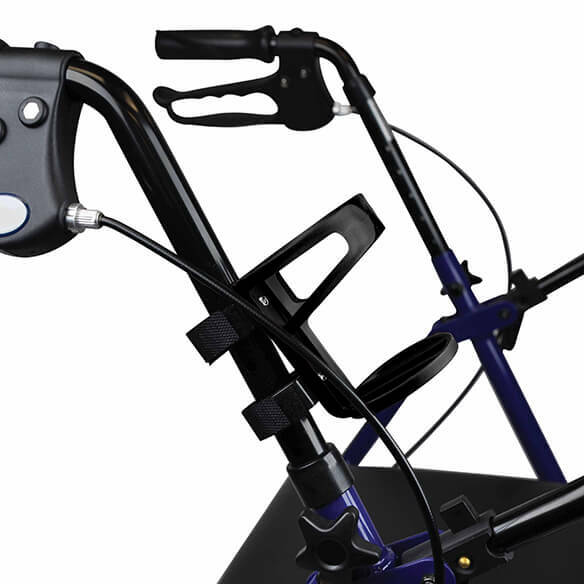 Unique design features a firm base with a flexible top holder to grip most drink bottles and cans. 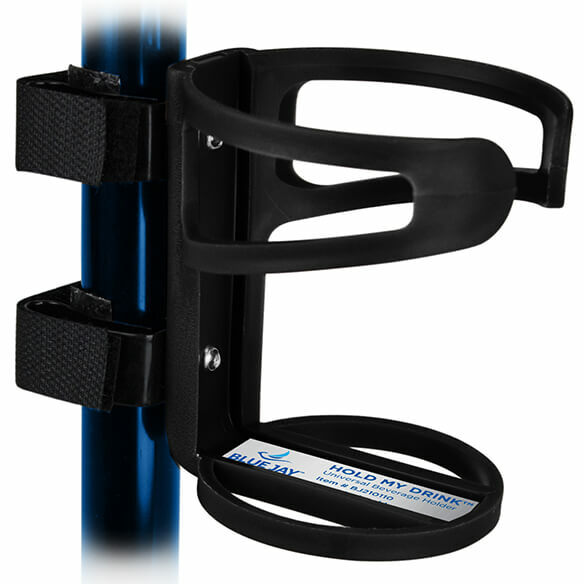 Non-slip strips inside clamps help prevent clamp on cup holder from sliding or spinning. It's way to flimsy. Won't hold the cup very well and keeps falling off. My brother cannot hold a soft drink, etc., so he chose this to hold his soft drinks. The drink holder I have on my walker is wearing out. I have to have my beverages close by.